Ace Boxing Promotions presents ‘Pride of the North’ featuring Australia’s best boxing talent. Ace Boxing Promotions presents “The Pride of the North” – a 9 fight boxing promotion being held at the Mackay Entertainment Centre featuring some of Australia’s best talent from the North Queensland region. 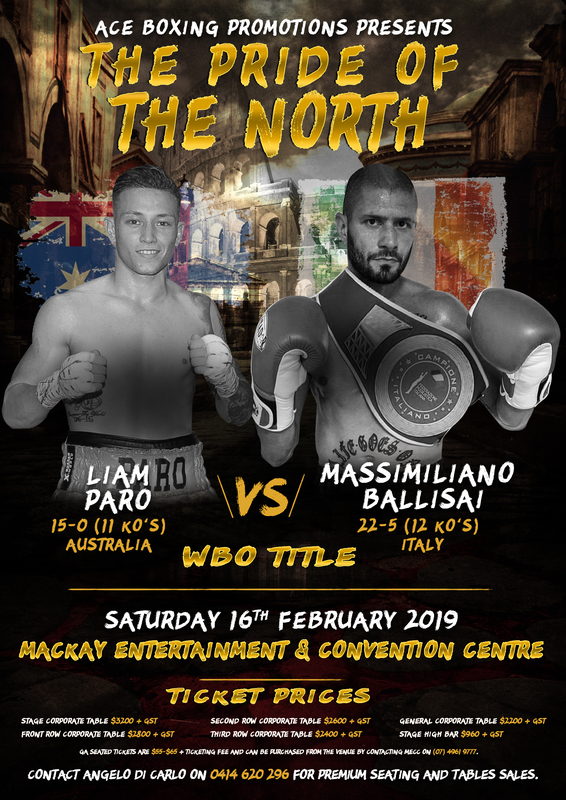 The main event on the promotion features Australia’s hottest prospect, Liam “The Prodigy” Paro (15-0, 11 Ko’s) who is currently rated #5 in the world. He will take on rugged Italian Massimiliano Ballisai (22-5, 12 Ko’s) for the WBO Global Super Lightweight Title over 10 rounds. A win for Liam will take him a step closer to a world title shot in 2019. 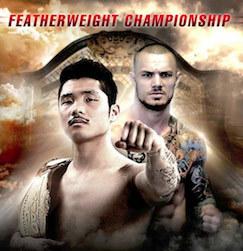 Also on the card is the current Australian Welterweight champion, Tysinn Best who defends his strap for the first time against the always willing Dillon Bargero from NSW. This will be a 10 round war.